At the top-end of the market, British car buyers are notorious badge-snobs. The Vauxhall Omega, for instance was a perfectly good car. But it died because the people who traditionally bought big Vauxhalls turned to the Mercedes C-Class, or something similar. Sure the Merc was smaller but it cost about about the same and, crucially, had that three-pointed star on its nose. Over the years, many manufacturers beyond the German/British/Swedish luxury car mainstream have tried to sell their top-of-the-range wares in the UK and failed miserably. They presented cars that, on paper at least, were perfectly good rivals to the 5-/7-Series. But the lack of an aspirational badge on the boot meant they were doomed to failure even before the start. There is a side benefit to the snobbery, though. Anyone who was foolish to actually buy one of these own-brand cars saw it depreciate off a cliff. That continues throughout its life and within a relatively short space of time, they can be bought for beer money. So here are four luxury cars that were new within the last decade and can now be bought for less than £4,000. The CTS turned Cadillac’s declining sales around in the USA, and led a push back into the European market, UK included. The styling certainly stands out in the mid-size German crowd, and the interior isn’t the cheap, hideous mess you might expect. At the time, the big news was its Nurburgring-honed, RWD chassis. The handling is perfectly acceptable but lacks the polish of a European car. The ride is particularly firm, too. The UK did get a RHD drive version, but if there was any brand recognition at all, it was probably bad. As a result, it sold in penny numbers. 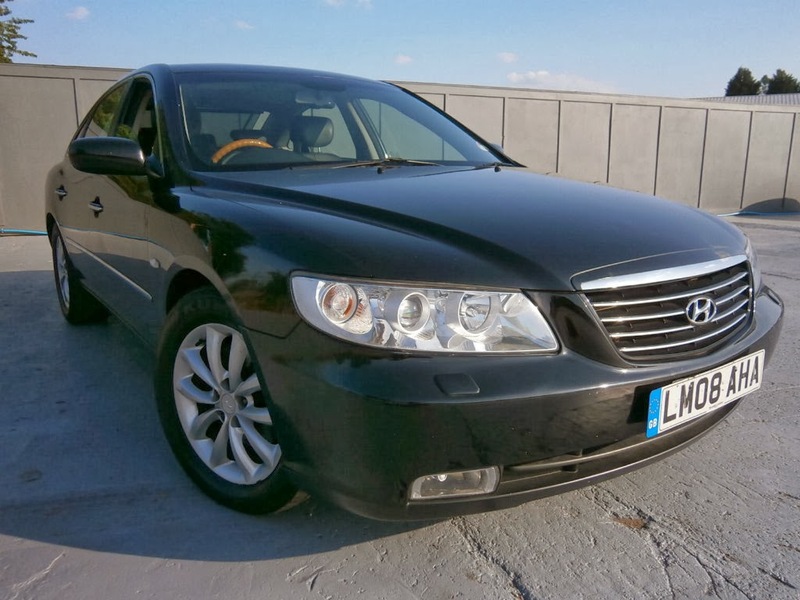 This one has just 29,500 miles, comes loaded with kit and looks properly gangsta in black. It needs 20’s though. It’s understandable if you’ve never heard of the Grandeur. It was only ever available on special order, and I suspect most went to Hyundai’s own dealers and UK execs. It’s certainly a handsome thing, in an inoffensive kinda way, and the interior isn’t the plasticy button-fest you might expect. Though it is rather dark in there. Apparently it’s a decent steer too, despite the Sonata-based, FWD chassis. It turns on command, the body control’s good and the ride’s pleasant. This one is a little scruffy, but at this price who cares? Maintenance could be tricky, but the engine was sold here in other cars and it’s unlikely to go seriously wrong, anyway. Given the long list of kit, it’s well worth a punt. You’ve probably not forgotten about the 75 and it did sell reasonably well, but it’s a bit maligned these days. Unfairly. I actually had one and rather liked it. It was utterly boring to drive, but it steered accurately and the fairly considerable body roll was well controlled. Much more importantly though, it was supremely comfortable. And the interior was very pleasant. 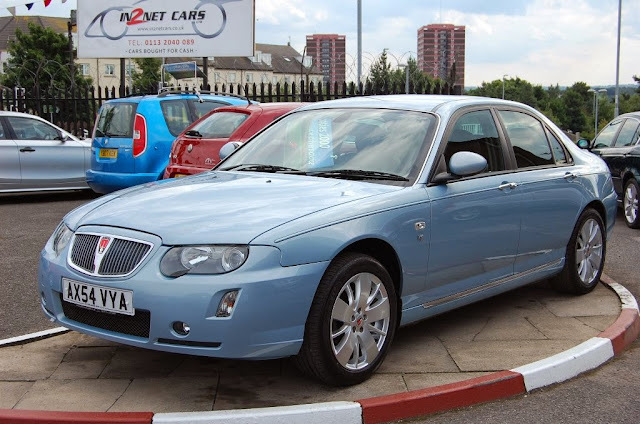 Build quality was more than up to scratch, too - it always did well in the JD Power survey - though the 1.8 engine’s head gasket is notoriously fragile. This one is a late, post-facelift model with all the bells and whistles. With only 39,000 miles it shouldn’t present any particular problems. Electrical gremlins can crop up, though. I rather like it. The Camry is best known in the UK these days as the car that donates its engine to the Lotus Exige and Evora. It still sells in vast quantities in America, but you probably didn’t know it was still on sale here as recently as 2004. Not that anyone was buying it. It is very comfortable, superbly refined and unimpeachably reliable. But it’s as dull as plain porridge. And to prove the point, I have literally nothing else to say about it. This one has 72,000 miles, it’s blue and the interior’s grey. Erm, I refer you to my previous point.